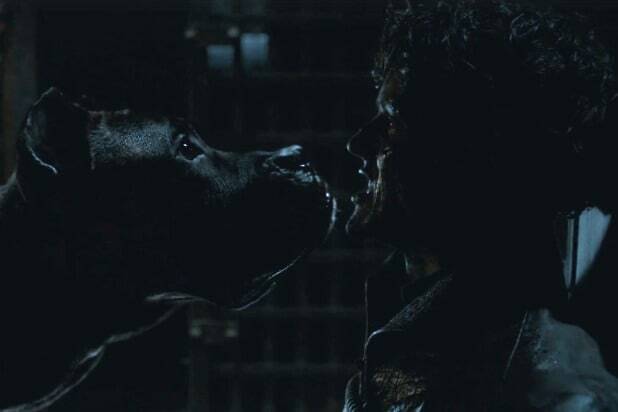 Farewell to...Ramsay Bolton (Last week's ranking: 4) There's not much to say about this death except...Get Chomped, Sucka! 20.) Cersei Lannister (20) -- Next week, it's judgment day for Cersei. Many fans expect that Cersei plans to use Aerys' wildfire to destroy the Great Sept and crush the Faith Militant, especially after Tyrion mentioned the wildfire to Dany in a possible narrative hint. But plans have backfired at a rather disquieting frequency for Cersei recently. Will this be the move that gets her final child killed? 19.) Brienne of Tarth (18) -- Brienne wasn't present for the big battle, but she'll get a pleasant surprise if she returns to the North. We say "if" because there's a chance Brienne might end up taking an unexpected detour thanks to the Brotherhood Without Banners. 18.) Tyrion Lannister (19) -- Tyrion's plan blew up in his face, but he gets points back by reminding Daenerys of something important: making grand claims of burning your enemies to ash is the exact sort of madness that cost her father the throne. Tyrion may have proved to be unfit to govern in Essos, but his knowledge will still be vital to keeping the Dragon Queen in check. 17.) Varys (17) -- He conveniently missed the massive battle in Meereen and the queen's dramatic return, so where exactly is Varys going to find more support for Daenerys? Hopefully he doesn't go to Dorne, the place where interesting plots go to die. 16.) Tormund (NR) -- He killed Smalljon Umber during the battle and joined Jon in the final charge to retake Winterfell. For better and for worse, the wildlings are now a part of the new normal in the North, and it will be interesting to see what sort of role everyone's favorite bearded wild man will play in it. 15.) Kinvara (16) -- The Red Priestess' plans to convert Essos to the ways of R'hllor are in full swing, which could prove useful to Daenerys when the time comes for another locker room speech to rally everyone into battle. 14.) Walder Frey (15) -- In typical fashion, Frey is going to throw a party celebrating the retaking of Riverrun…a victory Jaime handed him. But if the Boltons were crushed in this episode, it's safe to expect that retribution is also coming for the other house responsible for the Red Wedding. 13.) Sandor Clegane (13) -- Idle this week after returning to the series and joining the Brotherhood Without Banners. No telling what the finale has in store for him, though we suspect that it might involve an encounter with Brienne, the woman who nearly killed him. 12.) Jaime Lannister (12) -- Still in charge of Riverrun, and now desperate to return to King's Landing as soon as possible to reunite with his sister. 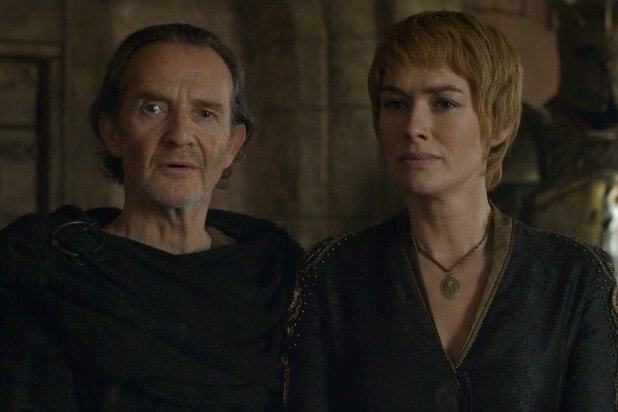 But if Cersei is indeed planning to blow things sky high, will he be forced to confront her over the wildfire plot the same way he confronted Aerys? 11.) Arya Stark (10) -- She's still on a ship back to Westeros, but you know Arya's got one more big move up her sleeve for this season. Hopefully it will be enough to make us forget her underwhelming story arc in Braavos. 10.) Davos Seaworth (9) -- We will never know whether Davos' plans would have worked thanks to Ramsay's trick, but charging in with lightly-armored archers was a foolish move. The bigger question now for Davos is how he will confront Melisandre over Shireen's death. 9.) Bran Stark (7) -- The finale preview shows we will see Bran one more time in the season finale, and hopefully that means a huge surprise is in store for us. Will it finally be confirmed that Jon is a Targaryen? 8.) Margaery Tyrell (2) -- Margaery falls several spots simply because of all the big power moves made by other characters. Next week, her brother will finally go on trial in front of pious homophobes. We will see if her actions will be enough to save him. 6.) High Sparrow (3) -- Is next week the last time we will see the High Sparrow? He has done a great job corralling the Lannisters and Tyrells into line these past two seasons, but it's hard to see him plot his way out of a wildfire explosion. 5.) Sansa Stark (6) -- No, Sansa does not get credit for singlehandedly turning the tide of the battle. She should have mentioned to Jon that there was at least a glimmer of hope that she would get help from the Knights of the Vale. She does get points, however, for giving Ramsay the most satisfying death we could have possibly asked for. 4.) Jon Snow (5) -- Jon's attempt to save Rickon nearly destroyed Davos' plans and could have cost him the Battle of the Bastards. 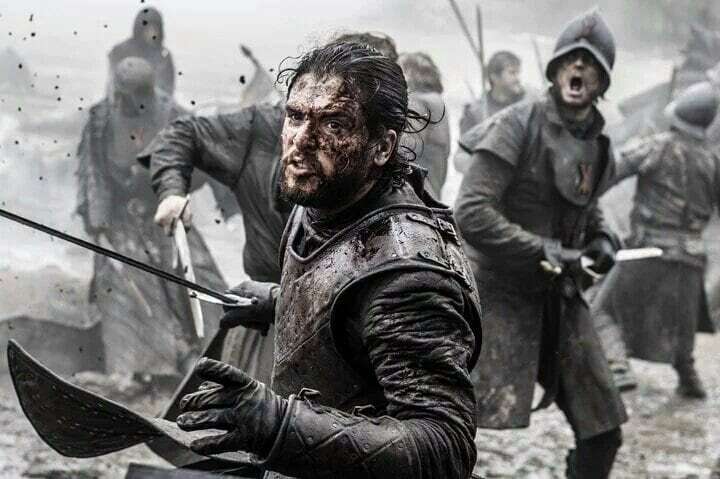 Nevertheless, Jon is your new King in the North, and whether he's ready or not, Jon is now in a seat of power even bigger than that of Lord Commander of the Night's Watch. 3.) Yara Greyjoy (8) -- Yara moves up several spots for her skillful negotiations to get Daenerys on her side. She also showed immense maturity when she accepted Daenerys' demand for the Greyjoys to end their pillaging ways. It shows that Yara recognizes how destructive her clan's traditions are, and that she wants to lead the Greyjoys to a way of life better than the one Balon provided. 2.) Petyr Baelish (11) -- The true winner of this week is Littlefinger. He is the one who saved the Starks from defeat with the Knights of the Vale, and with Jon's forces severely weakened, they will need his protection. Petyr may now have more influence in the North than anyone else. 1.) Daenerys Targaryen (1) -- It was a little worrying to see Daenerys show her father's passion for destruction, but she seems to have listened to Tyrion's warning. Her speech to Yara about how both of them should strive to do better than Aerys and Balon shows that Dany is still committed to being a queen who is both feared and loved. For her victories in both battle and diplomacy, Daenerys continues her run on top of our rankings.